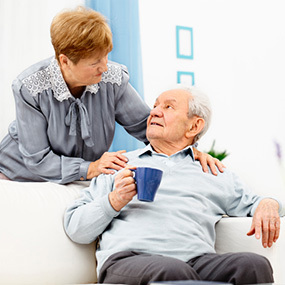 June 7, 2012 — Drinking three cups of coffee per day may help turn the tide against Alzheimer’s disease among older adults who are already showing signs of memory problems, a new study shows. No one with mild memory loss who later developed Alzheimer’s had initial blood caffeine levels above 1,200 ng/ml. This is equivalent to drinking several cups of coffee a few hours before giving blood. People whose memory loss did not progress all had blood caffeine levels higher than this level, the study shows. 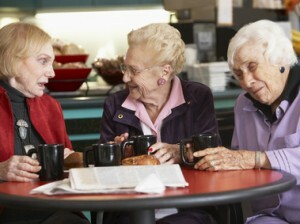 Exactly how coffee helps delay the development of Alzheimer’s is not known, but Cao has a theory. It involves beta-amyloid, a protein that accumulates in the brains of people who have Alzheimer’s disease. Enter your daily cups of joe. “Caffeine inhibits the production of beta-amyloid, so your system only metabolizes all of the available protein,” Cao says. Put another way: There are no leftovers. Coffee may have other important health benefits as well. Research has shown that it can reduce the risk of Parkinson’s disease, stroke, type 2 diabetes, and breast cancer. am Gandy, MD, PhD, reviewed the new findings for WebMD. He is the Mount Sinai chair in Alzheimer’s disease research at Mount Sinai School of Medicine in New York City. “There is some support for this observation,” he says via email. Comment deleted. Was a question for admin.